It really comes down to each individual person. There are many people I know who are perfectly happy and confident no matter what their weight is, and then there are others I know who feel unhappy and unhealthy even though they are viewed as “skinny” in the eyes of the world. Getting healthy or getting fit does not mean you have to be skinny. And being skinny does not mean you are healthy or fit. I have noticed a huge difference in who I am as a person since getting active and eating well. A couple of winter’s ago I was going through a pretty rough patch. I didn’t want to do anything or see anyone, I didn’t like myself and was’t comfortable in my body, I wasn’t confident or happy, and unfortunately that showed in everything I did. I decided to make a change. It was a slow process at first, but looking back I am so glad I took those really hard first few steps. Now I love encouraging people around me is to feel and be the best versions of THEMSELVES! Some want to lose weight, some want to gain weight. Some just want to lower cholesterol or decrease the risk of heart disease. I am not promoting “skinny” nor am I saying you have to fit into a certain mold. I am promoting happy, healthy, and feeling good, and I am sharing something that I am super passionate about because I have first hand experience in how much of a difference it has made for me (mentally, physically, and emotionally). It is always so much easier to make the necessary changes when you have supportive and uplifting people around you. That is what helped me, and now I want to give back to anyone who wants or needs that support and encouragement themselves. 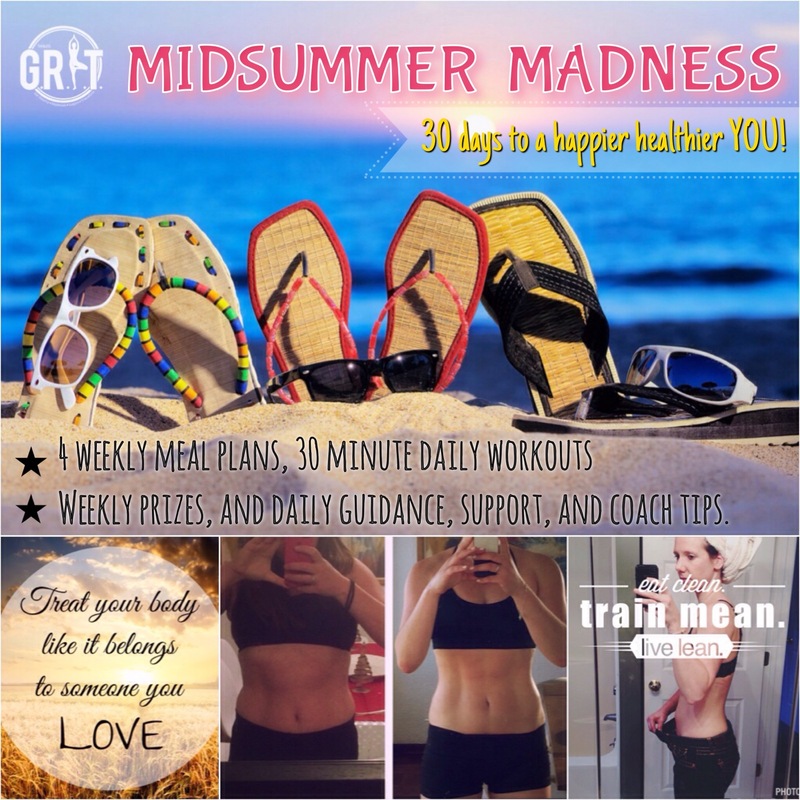 Starting on July 20th Team GRiT will be running a 30 day Midsummer Madness health and fitness group. If you are looking for that extra motivation and accountability comment below, message me, or find me on Facebook and I will send you more information. Because I LOVE giving away surprises and fun gifts, for anyone who brings a friend to join them in getting healthy and feeling great, you will be entered to win Autumn Calabrese’s brand new Cookbook, FIXATE, being released on July 14! You AND your friend have to be connected to your Challenge Pack of choice (workout program + 30 day supply of Shakeology) by a Team GRiT coach. Your name will be entered in to a lucky draw, and the winner will be announced on my Facebook page. For every friend you bring, your name will be entered into the lucky draw again! Check out some of our team’s Success Stories HERE. Real People. Real Results.